I didn’t try to veil my opinion in my recent post about 5Pointz closing. I am one of the many who are disappointed in the decision to tear down the graffiti-covered building in favor of a new luxury condo. But before we all continue to mourn the giant art installation of a warehouse, it appears as though the lawyer for 5Pointz, Jeannine Chanes, may have found a loophole. According to ANIMAL, Judge Frederic Block ordered a halt to the demolition of the building by its owners in the form of a restraining order this week.The Visual Arts Rights Act (VARA) of 1990 contains a clause that prohibits the destruction or alteration of works of art that are inextricably installed on a building, unless authorized to do so, presumably by the artists behind the work or community at large. 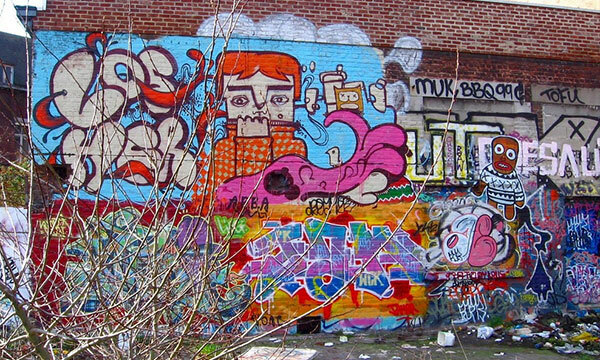 Chanes’ use of this law implies that 5Pointz may be able to stop the building’s owner from making the demolition decision in this type of case. We’ll keep you in the loop on how this develops. It was more than two years ago that I wrote about the possibility of 5Pointz, an artistic hub of a warehouse owned by the Wolkoff family, being demolished. I called the article 5Pointz Is Coming Down And It’s A Shame and I ranted about the pure audacity and soullessness of anyone who would rather see condos in its place. It’s not that he was necessarily wrong. Maybe the Wolkoff family really was going to tear 5Pointz down no matter what. It’s that the effort to preserve 5Pointz deserved support from our leaders. %Slideshow-80364%The “deal” struck last night isn’t a deal at all –- unless you consider developers agreeing to allow curated graffiti on their shiny new buildings as an exploitation of 5Pointz under the guise of “keeping the 5Pointz legacy alive” a deal. That’s right, the residential buildings that will take the place of 5Pointz will so generously grant artists the ability to paint on designated panels and other areas in a clean-cut, not-at-all-representative-of-5Pointz way. Look, despite my unabashed admiration of street art, I don’t consider myself a proponent of vandalism. But this is a Big Money way to add insult to the injury of local artistic culture and no matter the “special painting areas” that will be allocated to approved artists, the fact remains: 5Pointz is going to be destroyed and replaced by a luxury condo and I don’t think a luxury condo, no matter how you paint it, can preserve the 5Pointz legacy. Traveling isn’t always about the “touristy” parts of your destination. Sometimes, you want to hit the side streets for a taste of the more gritty, local culture. Many urban areas and downtown alleyways feature explosions of color in the name of “street art” — aka, graffiti. Some cities hate it, others embrace it. Where have you seen the most interesting street art? What does the term “graffiti” bring to mind? It’s not always detrimental to a city — in some, it’s considered part of the local arts or culture. Reddit user Twigellow took these shots while traveling between Paris and Belgrade. Do you think they add some charm, or take away from their surroundings?